Ariel was born in 2002, and is a young, mature female California sea lion. She is always eager to learn, and has a very playful, creative personality. Therefore, she is also a natural artist at heart. 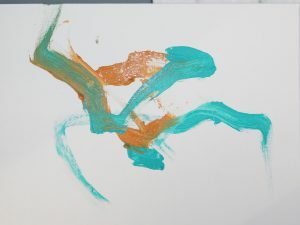 She learned to paint in August 2009 by holding a bite-plate with a paintbrush in her mouth and moving it across a canvas in a freestyle manner. 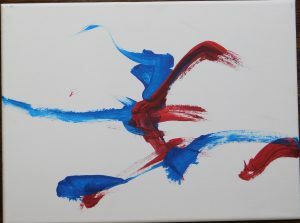 Ariel's paintings are each abstract and unique. 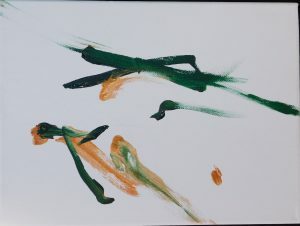 The paintings vary in terms of the number of colors on the canvas (usually two to four colors) and the size of the canvas (we offer small, 9"x12", and large, 11"x14",options). 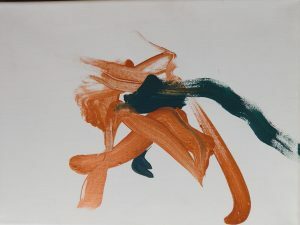 The price for each painting is dependent on the number of colors and the size of the canvas, as well as the intricacy of the painting and its visual appeal. Prices start at only $25 (plus shipping and handling). 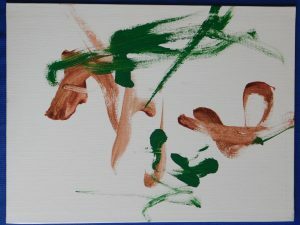 This is a bargain compared to prices of animal paintings at most zoos and aquariums, which can typically cost more than $100. Each painting is numbered and comes with a photo of Ariel painting it as a certificate of authenticity. 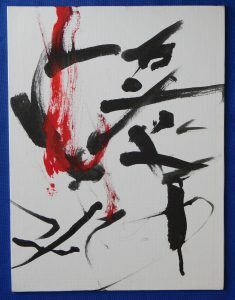 The paintings you see below are the ones that we currently have for sale. 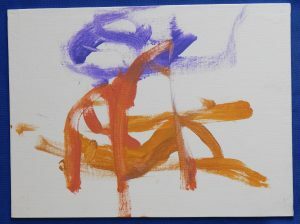 Check back frequently to see what new pieces our young Picasso has created! To learn more about her as an individual, please visit Ariel's webpage. Ariel #265, 9" x 12"
Ariel #234, 9" x 12"
Ariel #239, 9" x 12"
Ariel #243, 9" x 12"
Ariel #256, 9" x 12"
Ariel #260, 9" x 12"
Ariel #263, 9" x 12"